How to Select Upsell/Cross-sell Items Individually? A guide on how to manually select specific Upsell/Cross-sell items for a single product. Here you will see a list of all of your shop's items on the left panel. Click on a product and a panel with three tabs: Cross - & Upsell, Box Settings and Targeting will pop up on the right side. Click on Cross - & Upsell. 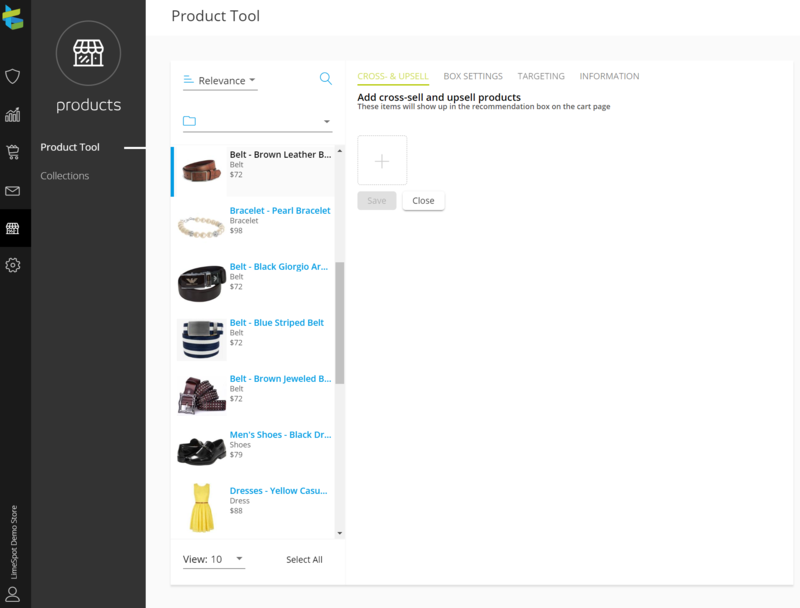 Tip: You can easily search for your items based on keywords and navigate through the items' list page by page. Manually selecting items to Upsell/Cross-sell. Click on the item for which you would like to manually change Upsell, Cross-sell and/or Related Items Settings. NOTE: Make sure you do not check the checkbox. Click on the item image/title itself for the individual mode. From the right panel click on the add button. A pop-up with all your items will appear. Select the items you would like to Upsell and/or Cross-Sell. 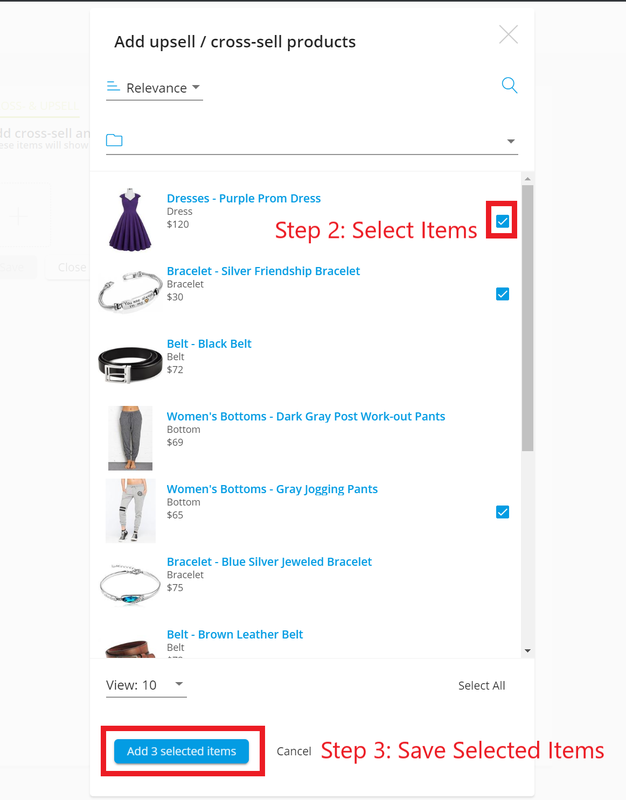 Click on the Add selected items button. You can choose whether these items are both Upsell & Cross-Sell, Upsell only or Cross-Sell only. You can easily modify these settings by checking/unchecking the Upsell & Cross-Sell buttons. 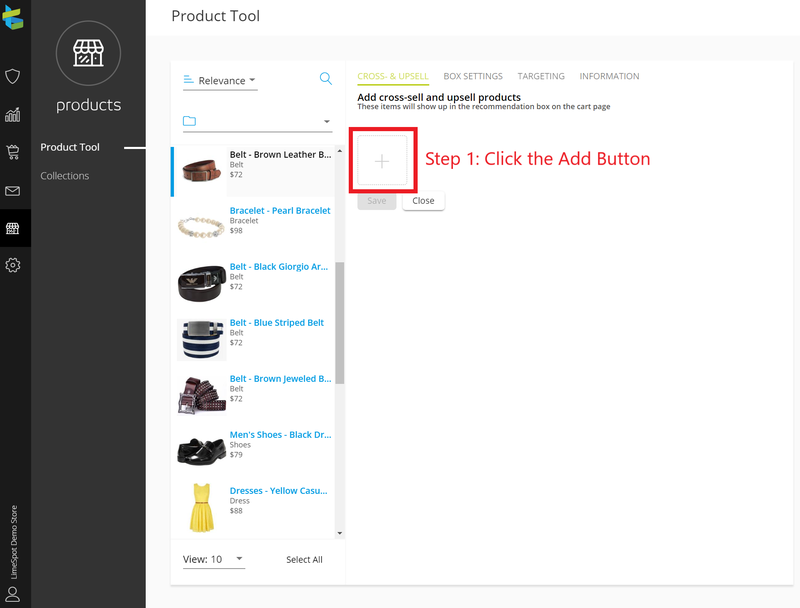 NOTE: When you select an item at step 3, they will automatically be an Upsell and Cross-sell item for the primary item. For those items you want to keep as Upsell and/or Cross-Sell items, make sure the Upsell and/or Cross-Sell button is checked on the right panel (see below screenshot). 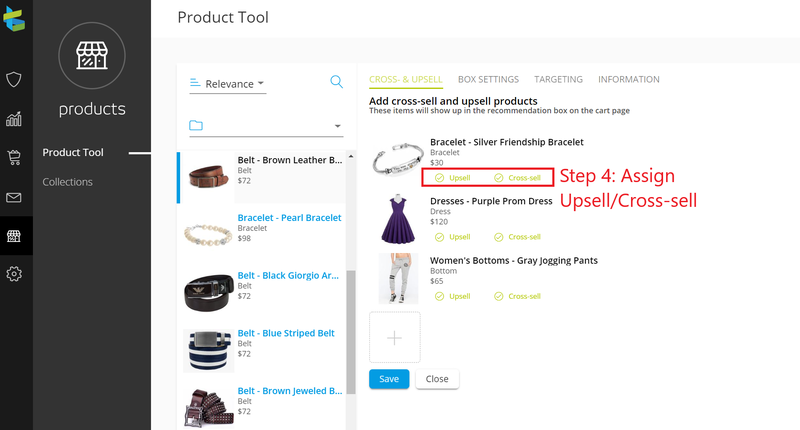 You can assign a custom title to the Upsell and/or Cross-Sell box for the specific product/s through the Box Settings tab, which can be found on the right side of Cross - & Upsell tab. 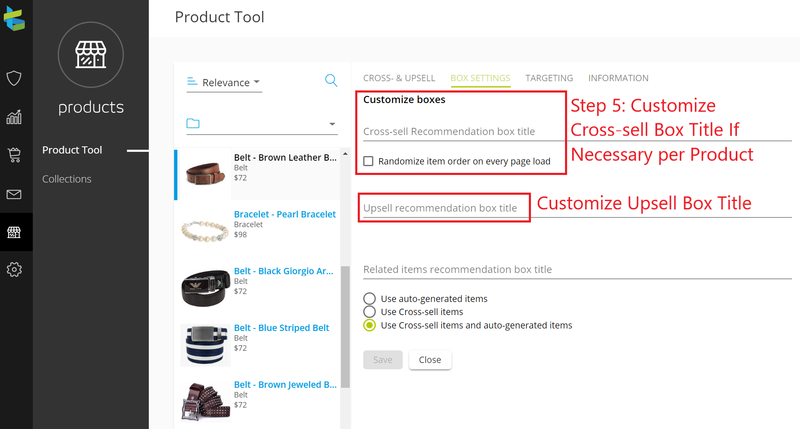 If you leave it blank, the title for that item's Upsell and/or Cross-Sell recommendation box will be the one that you choose in the Box Settings page (LimeSpot Admin Panel > Personalizer > Recomm. Boxes > Customize). NOTE: To alter the Upsell Box message, go to this article. Tip: Learn how to bulk select Cross-sell/Upsell products in this article.